Just days after Raynor learns that Moth, her husband of 32 years is terminally ill, their home and livelihood is taken away. 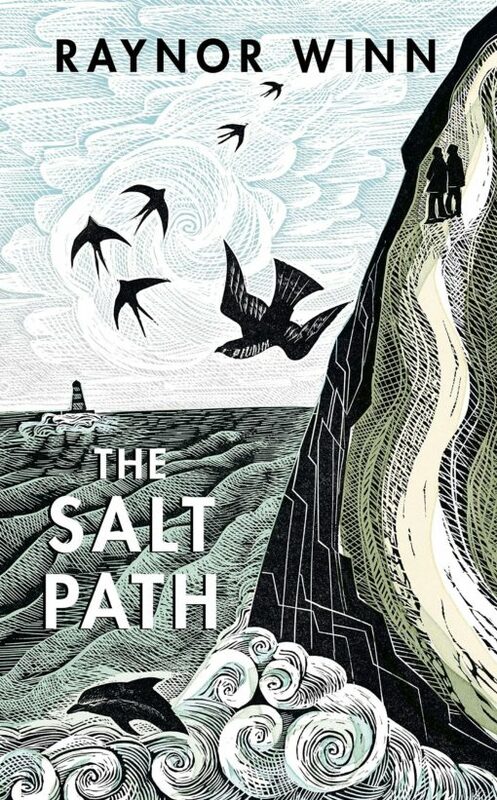 The Salt Path is an honest and life-affirming true story of coming to terms with grief and the healing power of the natural world. Ultimately, it is a portrayal of home, and how it can be lost, rebuilt, and rediscovered in the most unexpected ways. The Book Chat Book Club is led by Carrie. It will be meeting to discuss the book on Wednesday 29th April – 7.30pm at Booka. Please note that this Book Club is fully subscribed. For further information, call in at the shop, send us an email or give us a call.